In short order, not only did young Quincy get an early lesson in injustice, but he also got a searing taste of a tried-and-true American dictum: Black lives don’t matter (also, the criminal-justice system protects white men; also, nooses are just play things for silly kids; also, white kids who make mistakes will be protected; also, your body is less important than someone else’s “future;” also, racism is OK; also, you’re not safe). 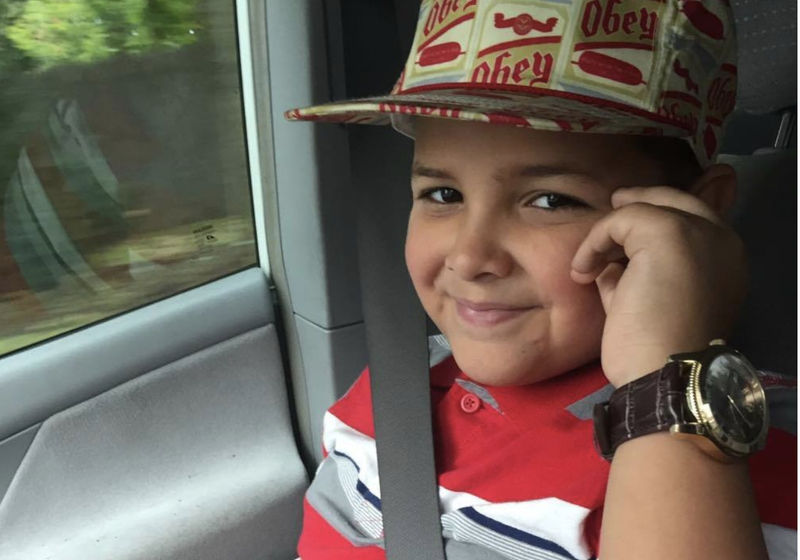 Quincy, who will be 9 years old in about a week, is recovering from his injuries and has started fourth grade, according to his mother, Cassandra Merlin. On Tuesday night, his hometown of about 13,000 held an interfaith vigil in his name, and earlier that day, Claremont Police Chief Mark T. Chase released a “Special Press Release” promising to prosecute the case as a bias or hate crime if the investigation bears that out, a markedly different tact from his initial comments. New Hampshire Gov. Chris Sununu has also sent a team of state prosecutors to help police investigate. For more than a week after the Aug. 28 incident, however, Merlin, who has lived in the faded factory town since she was a teen, says she felt that she was being brushed off, which prompted her to share her son’s story and photo on social media. Unfortunately for Quincy, the incident was not the first time he dealt with racial bullying. His mom says his “baby fat” and “brown skin” make him a target. On the day of the incident, Quincy and his 11-year-old sister, Ayanna, went outside to the park two doors down from their house. The pair went across the street to look for one of Quincy’s friends and saw some older kids, whom they’d had a run-in with earlier in the day. But the “play” soon took a bad turn when, Merlin says, the kids started hitting Quincy in the legs with sticks and throwing rocks at him. They also started making comments about the fact that he is black and saying things like “white pride” to him and Ayanna. Merlin says that Ayanna began screaming for help and described Quincy kicking his feet, grabbing at his neck and turning purple before he ended up dropping to the ground. Merlin says when she got there and saw Quincy’s wounds, she immediately called the police. She said the two older boys and a girl ran. She left her boyfriend to deal with the police, and took Quincy to the local hospital. There, they immediately put a neck brace on the little boy, gave him oxygen and began to assess his injuries. The doctors decided that they wanted him to be transported to Dartmouth-Hitchcock Medical Center in Lebanon, N.H., about 20 miles away. Quincy was transported to the hospital by helicopter, and Merlin made the 35-minute drive, making child care arrangements for her three other children. Quincy stayed at Dartmouth for almost two days and underwent a battery of tests. He suffered no permanent physical damage, and mentally, his mom says, Quincy is doing OK despite some night terrors. Quincy’s sister, Ayanna, who witnessed the act, is not doing quite as well. “She’s a little bit worse off than Quincy. She cries a lot,” says Merlin. “For the first few days, she refused to eat any food, she wouldn’t sleep. She’s been very emotional lately. And she’s very protective over her brother now. She says that when she initially spoke to Chase at the hospital, the poice chief said he would recommend family court and that Merlin would not be able to attend the hearing because the young man accused is a juvenile. “They said they were just going to suggest juvenile probation. I said, ‘How about some mandatory therapy?’” Merlin asks incredulously. She says that police have only spoken to Quincy once and not to Ayanna at all. “They’re not really good at keeping up with me,” she adds. “They say they’re going to call and then they don’t. And then I call and they’ll return the phone call a couple of days later. And they always say, “Well, we have a lot going on, and we’re doing interviews and we’re doing this and that. And they’re not very good keeping up with me and it’s hard; I have a busy schedule. Merlin is going through a divorce, and in March, she had to downsize and move the family to what she calls a “rougher” part of town. The overwhelmingly white working-class city, like the rest of the state, has been hard hit by the opioid epidemic, and poverty rates are almost double the rest of the state. “My main goal is to try to remove ourselves from that area,” says Merlin. “I am not trying to leave [the town completely], only because this is where my family is, my mother, my brother is around here, but just to move to a better area, one where Quincy doesn’t have to be reminded of what happened. Merlin says that She herself has been bullied for speaking up, but she’s taking it all in stride. On top of everything else, Merlin’s 1-year-old son was recently diagnosed with ITP, a rare blood disorder, and has been hospitalized at Dartmouth-Hitchcock, the same place Quincy was treated. She was also in the hospital with her son when it was locked down because of an active shooter who came in and killed one person. “Obviously, I’m very stressed out. Very overwhelmed. I’m trying to keep my head above water because we all deal with hardships in life, and I’m just trying to stay as strong as possible because I’m trying to be the best mother that I can be,” she says. Merlin says that she just wants people to understand that racism is very much alive and well, even in New England’s Upper Valley. Her wish for Quincy, she says, is that he knows that he’s not alone and that his life matters, too. Editor’s note: A GoFundMe page has been set up to support Quincy’s family and has been signed off on by Merlin.